Share Why #MichiganIsAuto For a Chance to Win $500 For Your Classroom | Gary G. Abud, Jr. This entry was posted in Education MichEd Teaching Technology and tagged Education MichiganIsAuto PBL Teachers Teaching on January 14, 2015 by Gary G Abud Jr.
Disclosure: I was selected for this sponsored post by HayThereSocialMedia.com but all opinions expressed here are my own. It’s North American International Auto Show time here in Metro Detroit, and the #NAIAS means two things: cold January weather and a celebration of Detroit’s legendary auto industry. But this year, it might mean something else for lucky classrooms as well. That’s because of a new opportunity this year, through the MICHauto campaign, to win $500 that could be used toward a classroom project. If you’re a teacher in Michigan, you’ve probably heard of #michED. The grassroots project from everyday teachers around the state to share stories of classroom success and connect educators online as well as in-person. It’s like the #PureMichigan campaign, but for education. Well, the MICHauto project from the Detroit Regional Chamber (DRC) seeking to highlight the best of our state’s relationship with cars through the #MichiganIsAuto campaign. 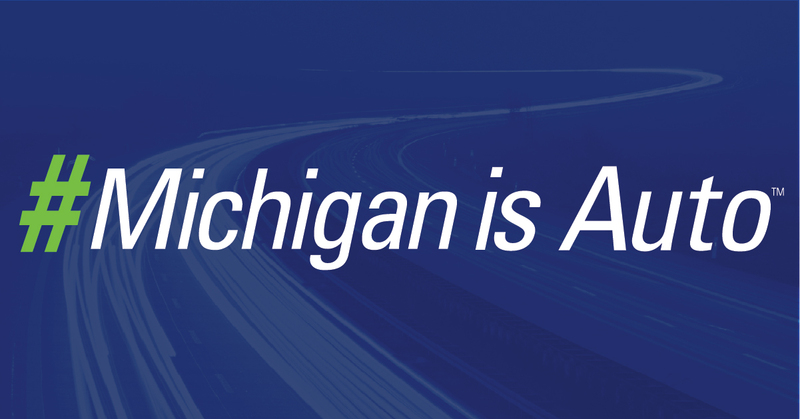 As the global automotive industry heads to Detroit for the 2015 North American International Auto Show, MICHauto – the state’s automotive “accelerator” – is using this gathering of industry leaders and stakeholders as a platform to reinforce why Michigan is the epicenter of the auto industry. And they giving away $500 for the best, most creative reasons why #MichiganIsAuto. Teachers are regularly seeking classroom grants to help fund projects and obtain necessary supplies for teaching and learning. This $500 is money that money could go a long way in a classroom. And you don’t have to teach in the Detroit area, or even attend the NAIAS with your class. You just have to share your reasons why #MichiganIsAuto on social media. Does anyone else sense a great idea for a Genius Hour or quick problem-based learning activity here? Here are a couple of ideas to bring the #MichiganIsAuto campaign project into your classroom, by posing the question “Why Michigan is the epicenter of the auto industry?” and then, share their ideas in posts using the social channels above. If your students blog regularly, this prompt could be the basis for their upcoming post. If you do Genius Hour with your students, you could have them research different aspects of the auto industry or thehistory of the #NAIAS and present a unique answer to the prompt. Kids could create a drawing, painting, video, or other piece of multimedia artwork to symbolize why #MichiganIsAuto and then you could share a photo of their project on social media. If your students are individually using Twitter, you could challenge them to answer the prompt in a short and creative way, like by making a six-word story. We all have ideas for what we could do with $500 in the classroom, but often grants can be hard to come by and applications for funding take a long time. To help celebrate the #NAIAS and Michigan’s history with the car, consider bringing #MichiganIsAuto into your classroom for your next activity. So, teachers, do you or your students have a great reason why #MichiganIsAuto? Now is the time to share it.